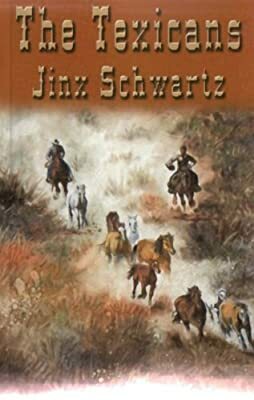 Author: Schwartz, Jinx Set In . . . Description: An epic saga of Texas, and the family who lived there, during the thirty years leading to the showdown at the Alamo. When the pioneer family immigrate to Spanish Texas in 1806, they soon find themselves inexorably drawn into the bitter conflict between Mexico and Spain. Joining forces with a dashing young Royalist deserter, they join in the battle to successfully free Mexico and Texas from Spanish rule, only to find themselves vilified by North Americans pouring across Texas's unprotected border. Targets of prejudice by virtue of their Mexican citizenship, the family is torn along cultural lines as the man they once trusted, President Santa Ana, propels them toward a deadly showdown.